Features two king sized bedrooms, a family sized bathroom and open plan kitchen/dining/living area. This charming private apartment is situated in the island’s capital village of Portree. 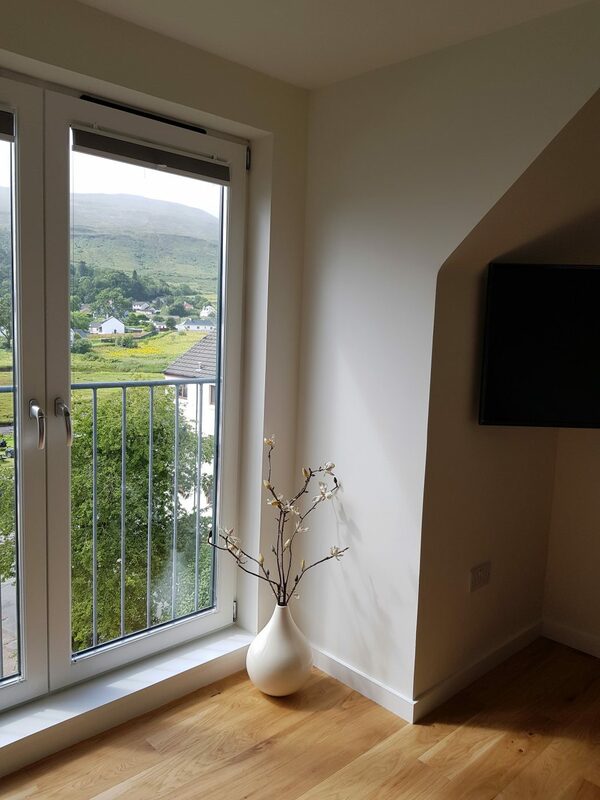 Combining soft textures and modern luxury, this contemporary two bedroom property overlooks the pretty Portree bay and majestic Cuillin mountain range. Skyelight apartment comfortably sleeps four in two luxurious king sized bedrooms. Its open plan kitchen and dining area are modern and sleek and provide ample facilities for the perfect home from home experience. Light streams into the cosy living area through full height glazing making the most of the spectacular views of the distant Cuillin range and Loch Portree. Enjoy the generously sized bathroom and shower and all the loveliest produce we could find from the renowned Isle of Skye Soap Company. 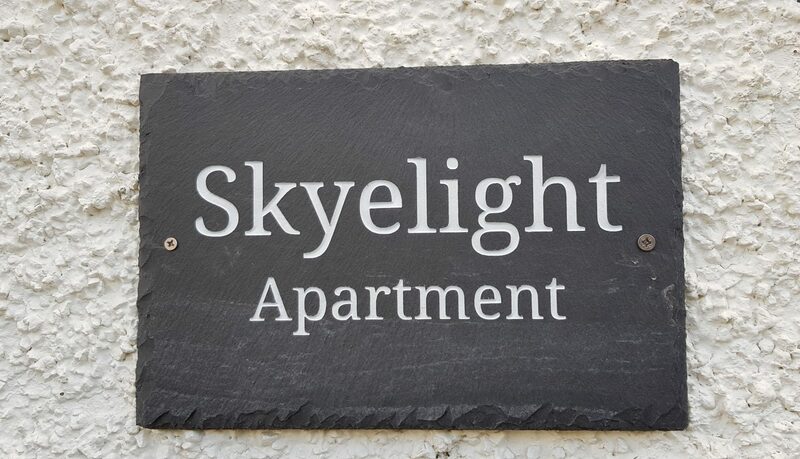 Skyelight Aparment is ideally located only a short walk away from Portree’s main square and transport links. Some of the most noteworthy restaurants and local shops are on its doorstep as well as the picturesque Portree harbour. This hidden gem is comfortable, convenient and in a quiet location with some of the most incredible views you can find on Skye. To book your stay at Skyelight Apartment click here.